Legend’s Free Fuel Winning No. The past 2 weeks we've been hanging out with the Legend's Casino Street Team handing out Free Fuel Legend's bumper stickers and now it's your chance to win a $100 Free Fuel card. 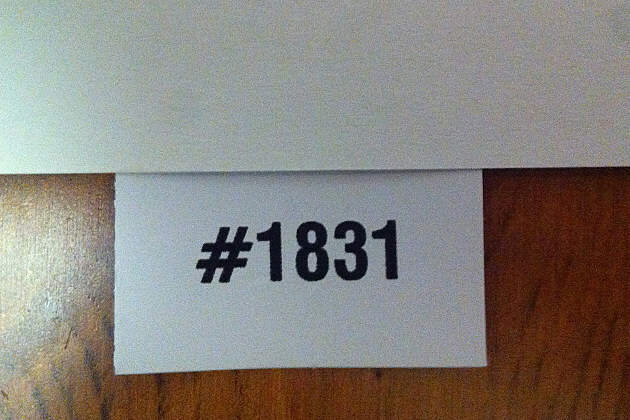 Match your bumper sticker number with the number below and you win, pretty simple right? If you have the winning bumper sticker stop by the 97 Rock studios anytime Monday - Friday 8a-5p with your winning bumper sticker and claim your prize. Don't worry if you didn't win this week as we'll have another chance for you to win next Friday and each Friday through mid June. Make sure to stop by our weekly street stop's throughout the Columbia Basin to get your free Legend's Casino Free Fuel bumper sticker.